Harlene Bautista spotted holding hands with her date Tristan Eugenio (leftmost) at the Sinag Maynila 2019 awards night. Angela Cortez, Nar Cabico, and Sylvia Sanchez won the acting awards at this film festival. Angela Cortez and Sylvia Sanchez tied for the Best Actress Award in the 2019 Sinag Maynila Film Fest. 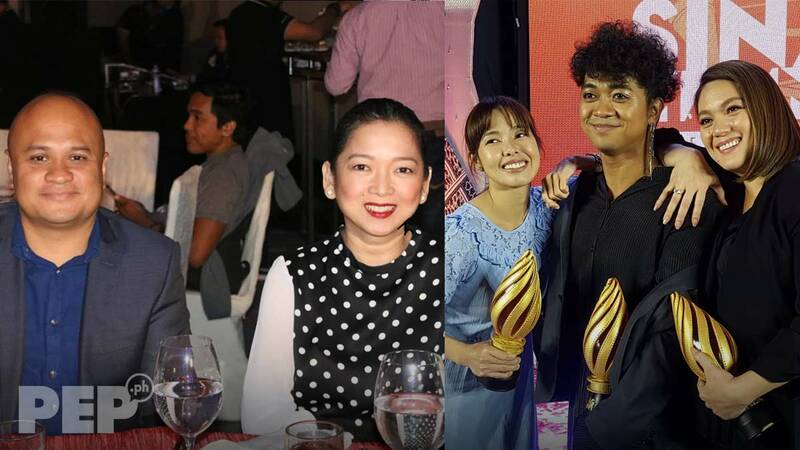 They were among the celebrities honored at the awards night of Sinag Maynila Year 5 held at the Conrad Hotel Grand Ballroom on Sunday night, April 7, 2019. Harlene Bautista was spotted at the awards night with her date, whom she initially refused to identify. PEP.ph (Philippine Entertainment Portal) asked Harlene for the name of the guy seated beside her but she simply said, "Huwag na. "Siya ang kasama ko so siya ang date ko." When asked if he is the guy being linked to her, she answered, "Meron ba?" Would she say that she is dating now? "Aha! Date ko siya ngayon," she repeated before ending the interview. A PEP source revealed that the name of her date is Tristan Eugenio. He is a rich businessman who previously worked in Australia before returning to the Philippines. Tristan was known as Neil Eugenio when he joined the Thursday group of That's Entertainment. He and Harlene were both part of the Thursday group of the GMA-7 variety show. Harlene Bautista was spotted holding hands with her date Tristan Eugenio at the grand ballroom of the Conrad Hotel. When she noticed photographers taking photos, she let go of his hand. Harlene served as the presenter for Best Short Special Citation at the Sinag Maynila awarding ceremony. She is currently working on the full-length movie In The Name of the Mother. Louie Ignacio was absent at the awards night because he is in New York to represent the Philippines at the Queens International Film Fest. 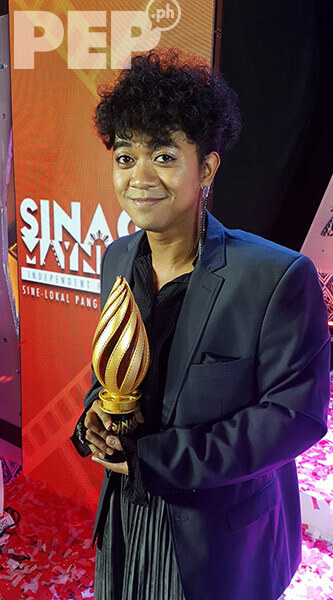 Joselito Altarejos said in his acceptance speech when he accepted the Best Screenplay Award for Jino To Marie: "It was such a long, long journey for this film." He said he was glad that he was finally able to showcase his film in the Philippines after screening it in several countries abroad. 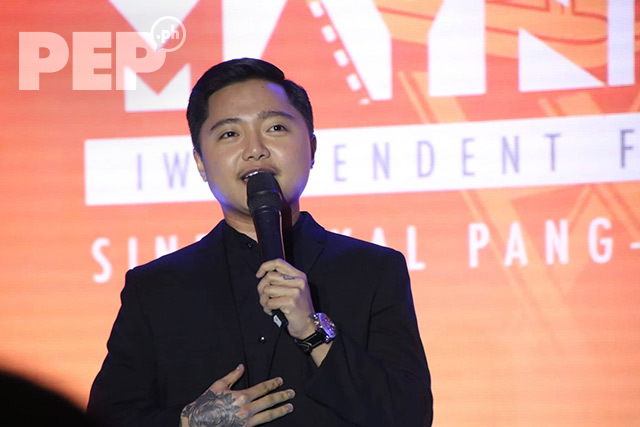 Jake Zyrus was tapped to perform an intermission number that night. Daniel Palacio joined the directing workshop of Brillante Mendoza several years ago. He directed the film Pailalim that won the Best Director Award in Sinag Maynila 2019. The 2019 Sinag Maynila film fest is ongoing until April 9, 2019. 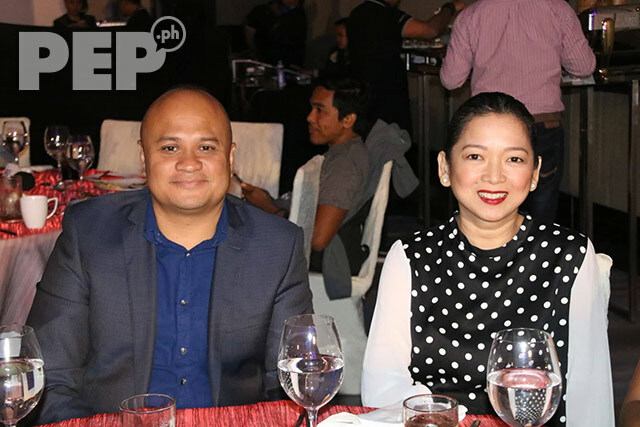 Harlene Bautista was sweet with Tristan Eugenio as they sat at the same table during the awards night of the 2019 Sinag Maynila Film Fest.